The children have voted for their new class representatives for the Schools Council. Children were democratically elected where possible and the meeting are held once a month. 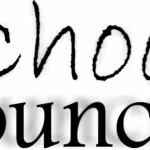 The Schools Council are also responsible for Anti-bullying and supporting ECO schools. The Schools Council is supported by Mrs Carol Whiting, Assistant Head and Mr Andrew Scarborough, Chair of Governors. Pupils and staff are invited to wear Jeans for school on this day and to donate £1 to this worthy cause. Friends of Rowan Gate (PTA/Register charity will be holding their AGM at the School on Thursday 18th September at 7.30 pm. FORG put on various events over the years to raise funds to provide the extra’s that our school budget simply cannot meet. 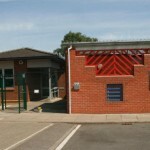 FORG members are friends of the school consisting of parents, grandparents and staff. Please come along and help raise funds for the school and have fun doing so. We welcome pupils back to school tomorrow – Thursday 04 September 2014.